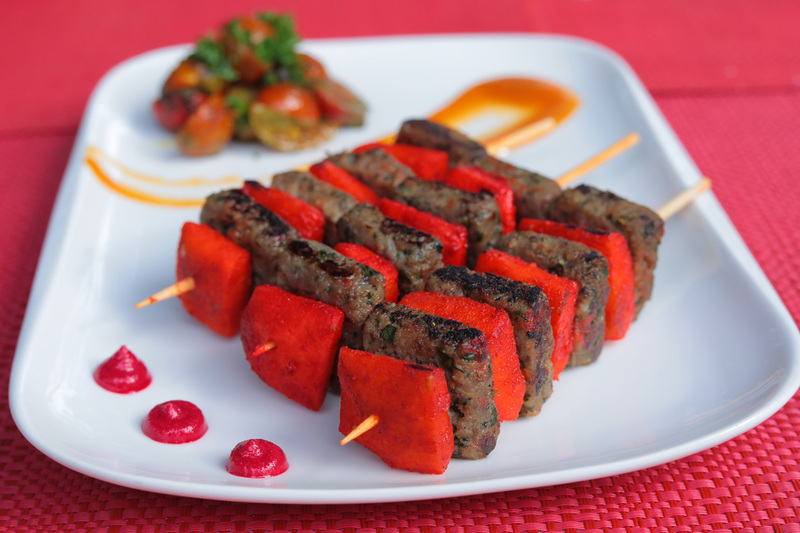 Venison kofte kebab infused with herbs & cinnamon flavour and grilled with spiced apple, served with apple chutney. 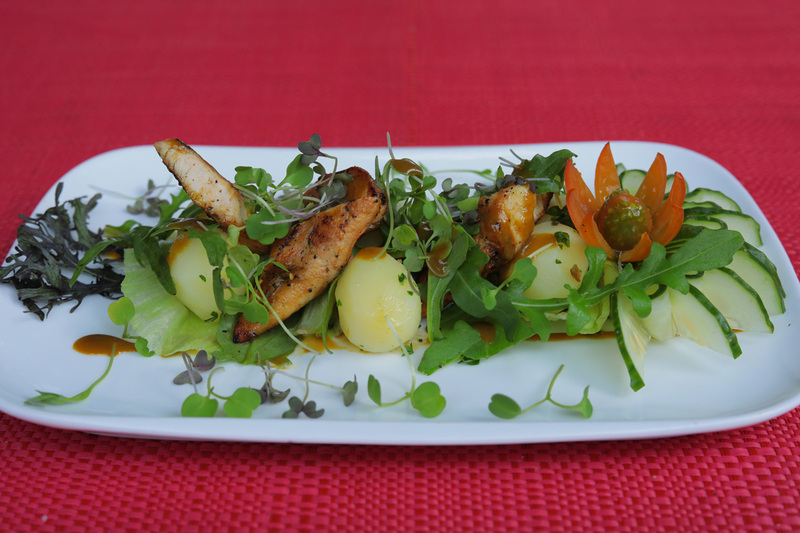 Herby grilled chicken, roasted baby potato & greens, served with passion & basil dressing. 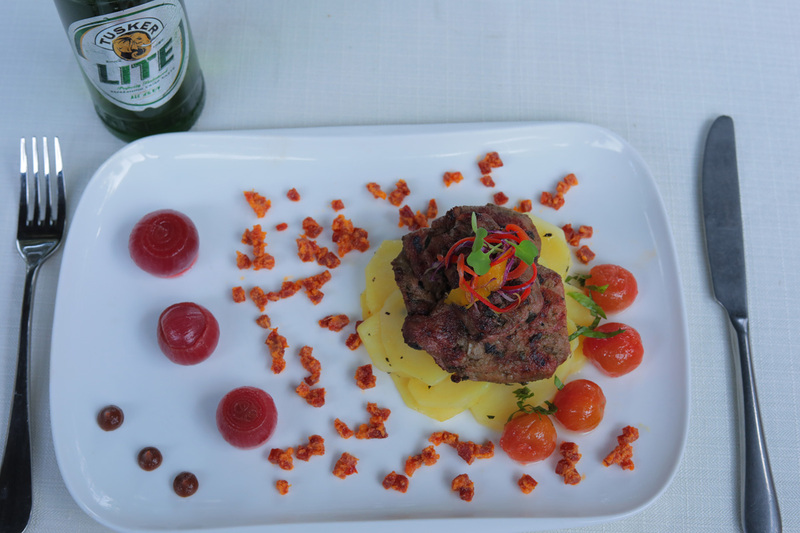 Pork fillet, smoked with aromatic hardwood, served on bed of braised potato coins, served pickled onion, confit cherry tomatoes and drizzled with chorizo crumbs. 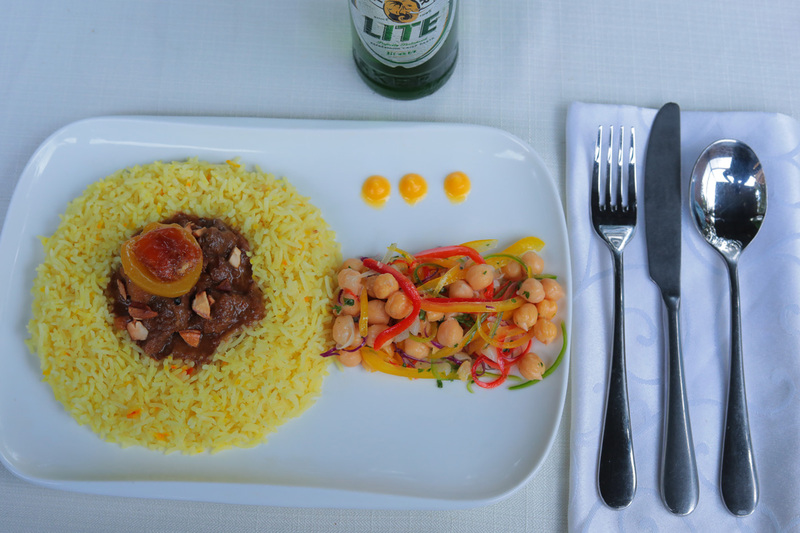 Tender chunks of venison simmered in fragrant & fruity broth enriched with honey date, apricot & almonds,served on bed of saffron rice with chickpea salad.